I love you. I do not understand the love at all. 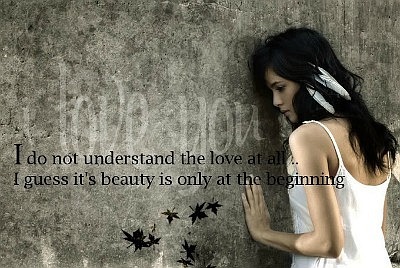 I guess it’s beauty only at the beginning.